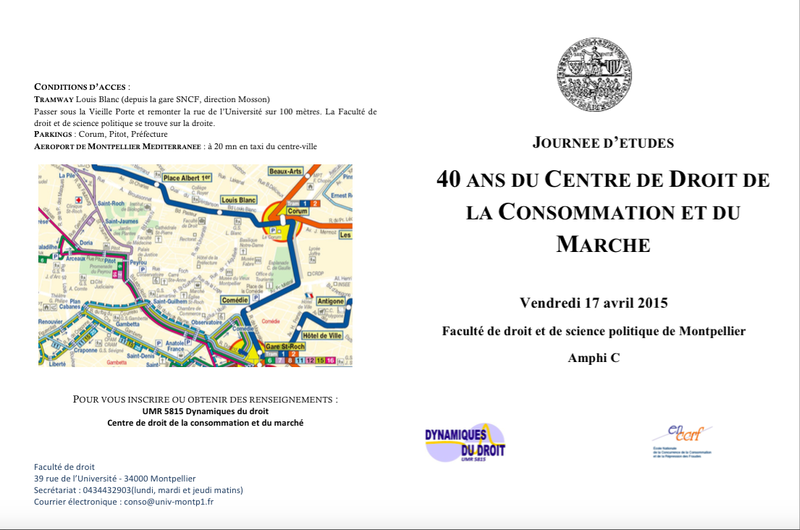 The 17th of april 2015: the CDCM will celebrate its forty years of existence. 40 years of training provided to graduate students, 40 years of publications, 40 years of advice given to governments, administrations and companies, or law contests organized for students. 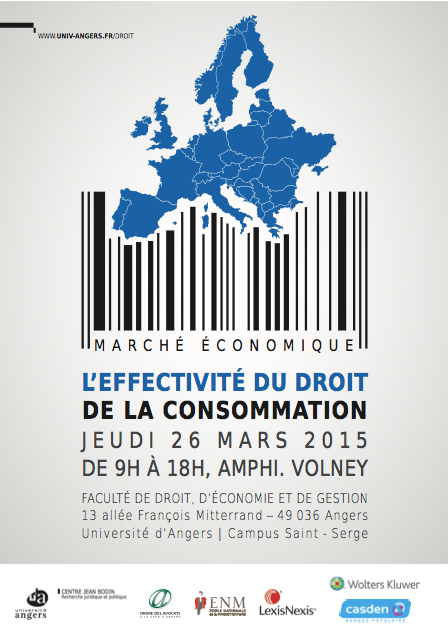 To celebrate this anniversary, a symposium will be held at the Faculty of Law and Political Science of Montpellier on the topic of « Consumer Law, efficiency and innovation ». The conferences will welcome interventions of academics, lawyers, judges, members of the DGCCRF etc. Organized under the auspices of the Mediation and Arbitration Center near ICC Paris Ile-de-France, debates will bring together professionals and academics. THE CDCM is pleased to announce the appointment of Mr. Malo Depincé, team member and director of the Master 2 consumption and competition to the Committee on unfair terms. The Committee on unfair terms contained in Article L. 132-2 of the Consumption french Code, reports to the Minister for Consumer Affairs. It is composed of judges, qualified persons entitled , consumer representatives, representatives of professionals. It examines contracts usually offered by professional and recommends the removal or modification of terms which have the object or effect of creating, at the expense of non-professional or consumer, a significant imbalance between the rights and obligations of the parties. The Committee may be seized by a judge during a forum to advise on the unfairness of a contractual term. Each year the it prepares a business report. This year the 16th edition of the International Francophone arbitration contest of Montpellier « Serge Lazareff », will be held during a week dedicated to the arbitration at the Faculty of Law and Political Science of Montpellier (18th to 22nd of May 2015). This contest allows students to understand the practical management of litigation submitted to arbitration. In addition, it allows to test their qualities oratorical face to face with direct opponents. In practice, each team has the opportunity to plead three times before fictitious arbitral tribunals composed of arbitrators, lawyers and academics. This French-language competition is open to all Master 2 students. Direct access to the website of the International Francophone Arbitration Contest of Montpellier.